What's the Best Way to Dry Hair Without Causing Damage? What’s the Best Way to Dry Hair Without Causing Damage? » What’s the Best Way to Dry Hair Without Causing Damage? There are so many ways that we damage our hair on a daily basis. You might have heard that showering each day with hot water can cause a lot of harm. But, the drying process often gets ignored. Hair that isn’t dried properly can also become damaged, frizzy, and even start to break. So, what can you do to prevent that from happening? The most obvious answer would be letting it air dry. While air drying is certainly more beneficial than many other drying methods, it may not be the best solution. Actually, what is considered to be the healthiest way to dry hair may surprise you. It’s a combination of air drying and using your blow dryer. If you’ve been warned not to use your blow dryer, there is a good reason for that. In many cases, blow drying your hair can cause harm and potential damage. But, when used correctly in tandem with air drying, it can be very beneficial. With this method, you’ll see less breakage and healthier hair overall. What Is the Healthiest Way to Dry Hair? Is It Good to Let Your Hair Air Dry? 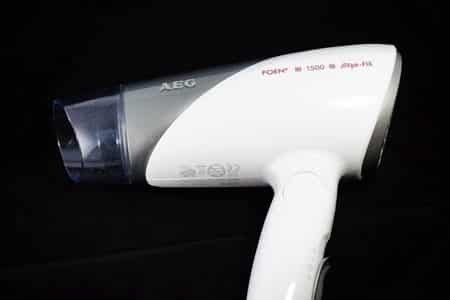 How Can I Use a Hair Dryer Safely? Are There Other Safe Ways to Dry Hair? Can I Dry My Hair in a Ponytail? Should I Dry My Hair Every Single Day? What’s the Best Way to Dry for Healthy Hair? The best method for drying your hair without damaging it requires a combination of two different techniques, but it will get you the most positive results. Additionally, we’ll cover several drying ‘traps’ you should avoid. Many times, we go through our daily routines without giving much thought about how what we’re doing could be harming our hair. Having a bit more insight can help to protect your locks. So, let’s learn more about how your hair dryer might be able to help you achieve the healthiest hair possible when used correctly. While it’s important to remember what you’ve learned about heat-based styling tools, you have to give your blow dryer a chance for this particular method to work. Don’t keep your usual part – If your hair is long and wet, it’s also very heavy. Keeping your regular part when letting it dry can pull on the roots and cause tension. This tension puts stress on the roots, and can eventually cause breakage and thin it out. Don’t sleep on it – If you take a shower before bed, make sure your hair is dry before you go to sleep. Washing your hair before bed might be a ‘time saver,’ but it also causes problems for your tresses. Wet hair is far more susceptible to damage than dry hair. The combination of tossing and turning at night and the roughness of a cotton pillowcase can lead to a lot of breakage and tangling. Let your hair dry completely before laying your head down on a pillow. Don’t use too much product – If you think adding a handful of cream or gel into wet hair will give it hold as it dries, think again. It’s more likely that it will weigh it down and cause it to look greasy. If you’re prone to oily skin, it could create an even bigger problem. Don’t skip out on using a product – While too much product is a bad thing, not using any at all is equally harmful. Use a product that will work for the style you’re going for. 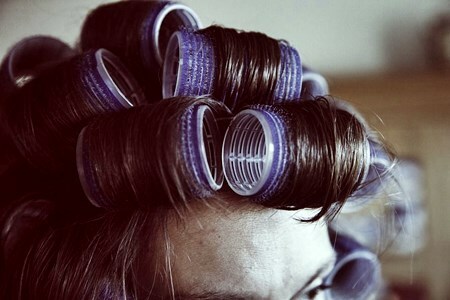 If you want your hair to be curly, choose something that will help to define those curls as it dries. If you’re fighting frizz, use the right product for that. Once your hair is dry, you can gently comb it out with your fingers to get the most out of that particular style. A product will help to ensure the style holds in place. As stated above, the best way to dry your hair without doing harm is to use a combination of air drying and a blow dryer. So, how can you make sure you’re using a heated dryer correctly? It all depends on the distance the dryer is of your hair and the amount of heat you’re using. It may sound complicated, but by following these simple steps, you can master the technique quickly. Once you finish washing your hair, let it air dry about 75% of the way. The amount of time it takes for this will be different for everyone. It depends on the length and thickness of your hair. Turn your hair dryer on the coolest-possible setting. Keep the dryer at least six inches away from your hair, and begin to dry your tresses. Move the dryer around continuously, never getting closer to the hair, until everything is completely dry. The best thing about this method, of course, is that it’ll give you the best chance at healthy hair. But, it also provides the best of both worlds. You can comfortably air dry your hair, but slightly speed up the process by finishing it with a dryer for days you’re in a hurry. When your hair is extremely wet, it can become damaged very easily. Heat damages hair to begin with. So, adding extreme heat from a dryer to wet hair is a recipe for disaster. Letting your hair air dry most of the way helps to protect it. So, why not air dry all the way? When your hair gets wet, it swells. It’s the swelling that makes it more susceptible to damage. But, that swelling also makes it heavier. When your hair is weighed down, it can cause tension and pull on the roots. Eventually, this can lead to breakage or even hair loss. If you dry your hair frequently and notice that it seems to fall out a lot, this could be a big reason why. Letting it dry mostly on its own, and finishing up with cool air is the perfect combination. If you use the ‘cool’ setting on your dryer, you don’t have to worry about heat damage, and you’re saving your hair from being weighed down for too long. The result is healthier, thicker hair. If you do choose to blow dry your hair regularly, there are still ways you can protect yourself. While heat Isn’t your hair’s friend, there are better ways of blow drying your hair to protect it and keep it looking healthier and shiny. Avoid the following mistakes when taking a dryer to your hair, whether you’re using heat or not. Not using the nozzle – Most hair dryers come with a nozzle attachment that can be put on the end of it. Unfortunately, many of us tuck that away and never use it. But, it’s included for a reason. The nozzle allows you to focus on a direct spot on the hair. When you don’t use it, you’re spraying heat all over. This can create tangles and even more breakage. Not using the right brush – Brushing your hair (especially when it’s still wet/damp) can cause damage. Not using the right brush can increase that damage tenfold. Try to avoid using a brush that has a metal core of any kind. That metal will heat up when you use the dryer and can act like an iron on your hair. Not using the right products – Before you dry your hair, use a heat-protectant spray with as few chemicals as possible. If you’re using other products, go sparingly, and be sure you’re using them at the roots, not the ends of your hair. Now that you know what to avoid when using a hair dryer keep these tips in mind to cut down your drying time. The less time it takes to dry, the less damage you’ll likely face. These tips are also designed to give you the best style in the shortest amount of time. Spray a volumizer at the roots for medium or long hair before drying. This will help to add a little bit of boost at the roots. To lock in moisture, add a small amount of leave-in conditioner to the ends of your hair. This won’t replace a heat protectant spray, but it will keep your hair hydrated. Pull your hair into loose sections with clips. Start by drying the sides, and finish with the top. This will make sure each layer of your hair is getting adequately dry, without heating up your whole head in the process. Dry your hair in a different room from the one in which you took your shower. This may sound trivial, but it can make a difference. There will be a lot of heat, humidity, and moisture in the air after you take a shower. And, it can linger for a long time. Choose a room far away from that humidity, and it will cut down on your drying time and create less work. Always point your hair dryer in a downward direction. This helps to seal down the cuticle and can reduce frizz. Otherwise, you’re blowing hot air everywhere, which can create a lot of frizz and tangles. Spread a clean t-shirt out on a table, with the bottom hem facing away from you. Bend over and ‘plop’ your hair down onto the shirt, right in the center of the fabric. Pull the hem of the shirt to the back of your head, lift it from the table, and bring it toward your neck to cover the entire nape of your neck. Pull the area with the neck of the shirt and the sleeves up toward your forehead. Smooth down the fabric, so it stays in place. Wrap the sleeves of the shirt around the top of your head, and tie them together. It should be turban-like in style. Leave the shirt on your head for 20-30 minutes, or until hair is dry. You can either let your hair dry completely inside the shirt, or use the partial-dry method and finish it up with a hair dryer. Whether you like the ‘wash n’ go’ look, or you want to keep your hair in a ponytail overnight, putting up wet hair into an updo is never a good idea. Many women love the ‘messy bun’ look at the top of their head. Unfortunately, when you do that with wet hair, you could be causing a lot of potential damage and eventual breakage. That can lead to hair thinning and loss. Again, hair is fragile when it’s wet. When you pull it back into a ponytail or similar style, you’re causing tension at the root. High ponytails create a constant pull on the hair that can be damaging. It can cause your hair to break off. Or, the tension can go all the way to the follicle and cause thinning, or a lack of healthy growth. Additionally, you’ll probably be moving around a lot at night. If you put your hair up into an elastic band before bed, you’re essentially doubling the risk of causing damage. This occurs both because of friction, and because of the style itself. Plus, it will take a very long time for your hair to fully dry if it’s in some tied-up style. You could go through the whole day with a ponytail, and find that when you take it out at the end of the day, the center of your locks is still damp. By putting your hair up, you’re locking in that moisture all day, leaving your hair in a fragile state. If you want to tie your hair back, do it when it’s already completely dry. Additionally, you should always make sure to wear ponytails that are lower and looser. You shouldn’t feel a ton of ‘relief’ after taking a ponytail out, and it shouldn’t pull the hair in any way. Using a towel – Using a towel is common after getting out of the shower. The towel itself won’t cause too much harm, depending on how you use it. Unfortunately, it’s tempting to roughly rub the fabric all over our heads, getting out as much water as quickly as possible. Towels are made of tough fibers that can cause frizz and breakage when rubbed too hard against the hair. Instead, gently grab sections of your hair within a towel and squeeze it. This will help to remove excess water and won’t damage the hair. Not using product – We touched on the fact that it’s important to use some product when blow drying your hair. It’s just as important when you let it air dry. Even a little gel can add texture, volume, and protect your ends from frizz. Playing too much – It can be tempting to play with your hair as it dries. This includes continuously combing it with your fingers, twirling it around, etc. Doing this excessively can cause frizz. As stated above, drying your hair with a towel can be damaging. But, that doesn’t mean you need to avoid using them altogether. You just have to make sure you’re using a towel the right way. It starts by choosing the right kind of towel. It’s important to choose a towel that is soft and clean. It should feel as though it has a smooth finish and isn’t nubby or ‘pilling’ in any way. Those textures can add more roughness to the hair when applied. If you choose to air dry your hair after drying it with a towel, you don’t need to go crazy with how much water you squeeze out. Gently squeezes all over your locks will be sufficient. Another key tip for towel-drying is to condition your hair beforehand. Almost everyone can benefit from some type of conditioning. But, it’s always a good idea to choose a conditioner and process that fits the specific needs of your hair. For example, if you have extremely dry hair you will need something that adds a lot of moisture. If you’re prone to oily hair, you may want to choose something lightweight. Once you find the right conditioning treatment for your hair, use it regularly. This is especially important before towel-drying, as it can cut down on frizz and breakage. Don’t disregard towel-drying your hair altogether. With the right material, the right conditioner, and the right technique, it doesn’t have to be damaging. As long as you’re pressing and squeezing instead of rubbing roughly, it’s okay to use a towel first thing out of the shower. We recommend using the best process above for drying your hair. Again, that includes letting it air dry 75%-80% of the way and finishing off with the right blow drying techniques. If you wash your hair every day, this will always be the best solution for drying it. However, washing your hair and getting it wet each day isn’t beneficial, and can end up causing damage. Even if you’re doing everything else right, taking daily showers to wash your hair can counteract those positive techniques. Not only can the heat from the shower damage your hair, but your products can, too. Certain chemicals in shampoos and conditioners can strip your hair of oils and nutrients it needs to be healthy. If your hair is constantly swelling from water, it will be harder to keep it protected even when drying correctly. If possible, only wash your hair a few times a week. Use a natural shampoo, such as Christina Moss Naturals Shampoo. Combined with the right drying techniques, this will leave it looking and feeling healthier than ever. We hope this article has given you some insight into how to dry your hair safely. It’s not something that quickly comes to mind when we’re trying to style our locks, but it can make a big difference in your overall hair health. By using the tips in this piece, and avoiding certain drying disasters, you’re likely to notice a difference. You should experience less breakage and frizz relatively quickly. Get rid of the myths that blow drying your hair has to be ‘bad’ all the time. It’s all about doing it the right way, through a process. Once you’ve mastered this technique, you’ll never want to go back to your old drying methods again!